With a Canadian friend leaving to go back to the States, I thought I'd make my version of pumpkin pie, a sweet potato pie for her farewell. The cinnamon and ginger spice aromas wafting through the house, I couldn't wait to have a slice. 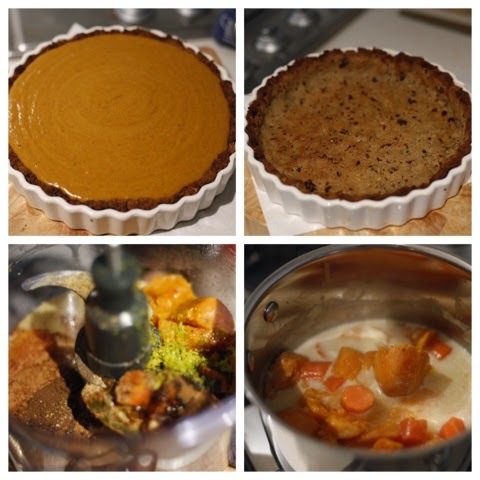 I thought I'd also follow the current food fads and make a paleo sweet potato pie. 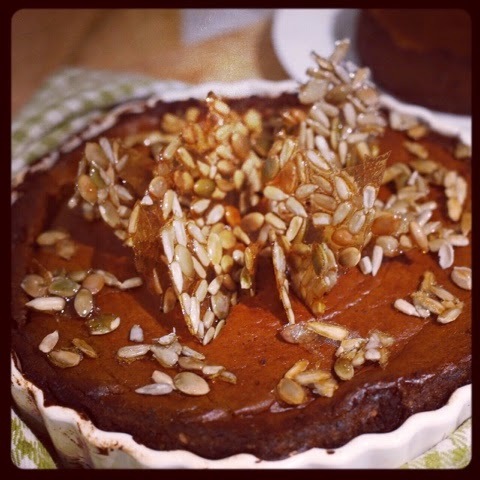 The filling is rich, smooth and thick served with a delish date almond pie crust and yoghurt. It is on the light side of sweet but the maple shards and extra maple add that extra hit of sweetness if need be. With a nod of approval from my American friends, I think this one's a winner. 4. Whizz dates in the food processor until finely chopped. 5. Combine dates with almond meal, vanilla, butter, 1 egg white and a pinch of salt. 6. Press mixture into the base and sides. Prick base with a fork. Then bake for 15-20mins until dry. 7. Whizz sweet potato mixture, spices, zest and 60mL (1/4 cup) maple syrup in a food processor. 10. Top pie with yoghurt, shards of seeds and extra maple syrup.